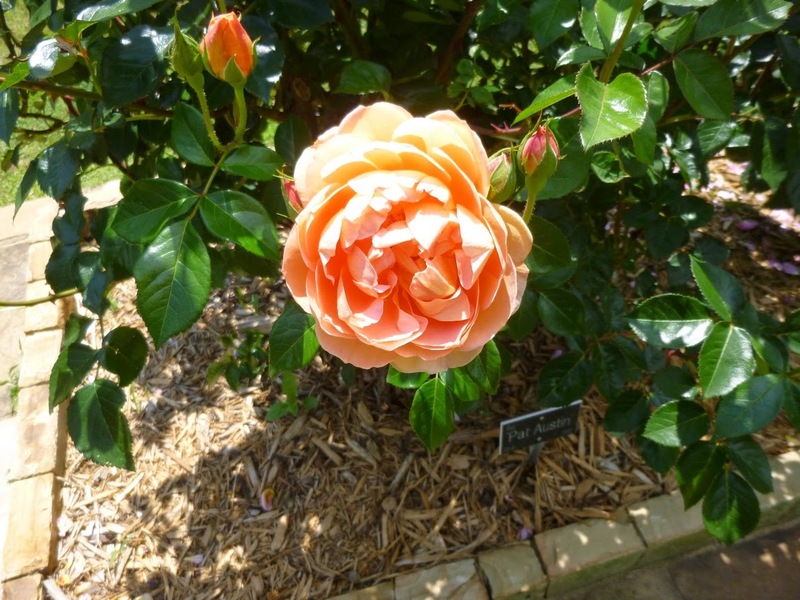 The Smith-Gilbert Gardens in Kennesaw have a bonsai exhibit, a Camellia Garden and a 19th Century historic home. 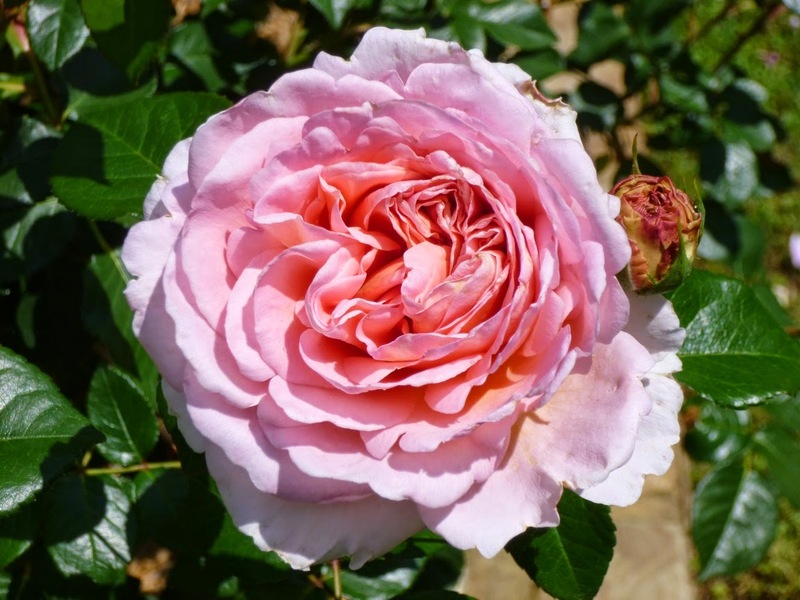 But my favorite parts of this garden were the woodland trails (one of which leads to a shady nook by a cooling waterfall), the conifer collection and the delightful rose garden. 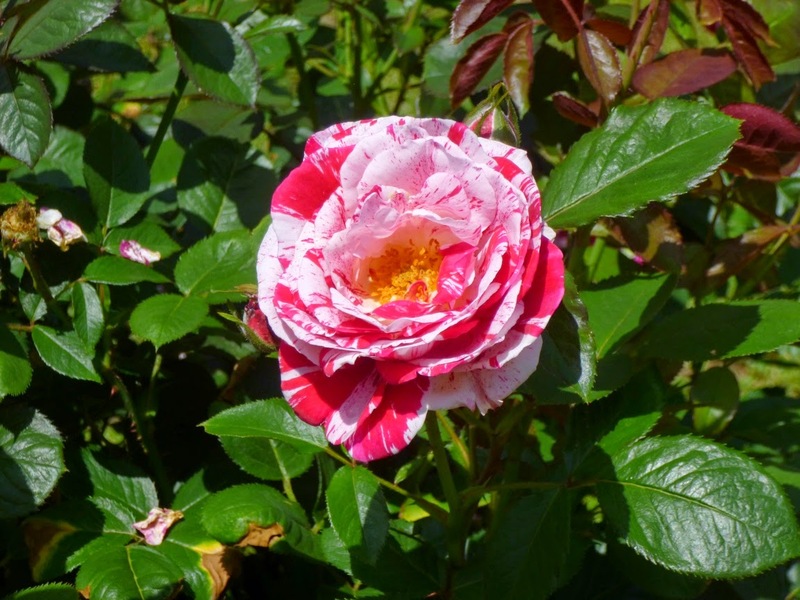 The color is a bit garish and the flowers may be packed too tightly together, but it sure did smell good. To be honest, the blooms are a bit ... overwrought for my tastes. 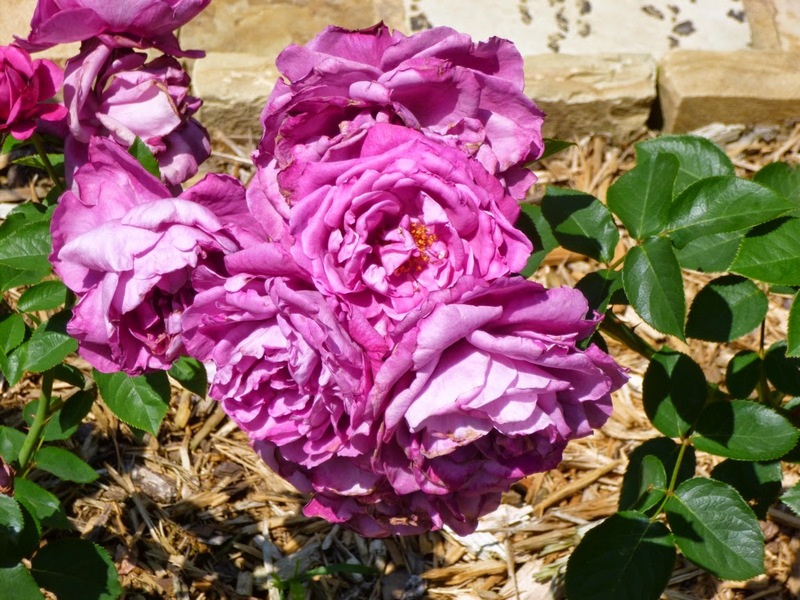 Dave's Garden reviewers report epic struggles and heartbreak with this one. The review and comments are priceless at The Gardener of Good and Evil. 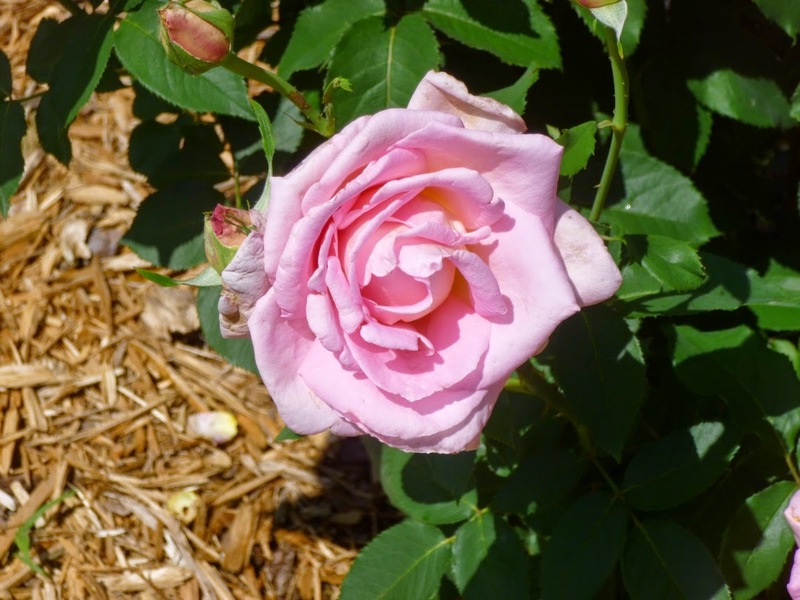 IMHO, the jewelry store can't hold a candle to this "Tiffany" Hybrid Tea Rose. 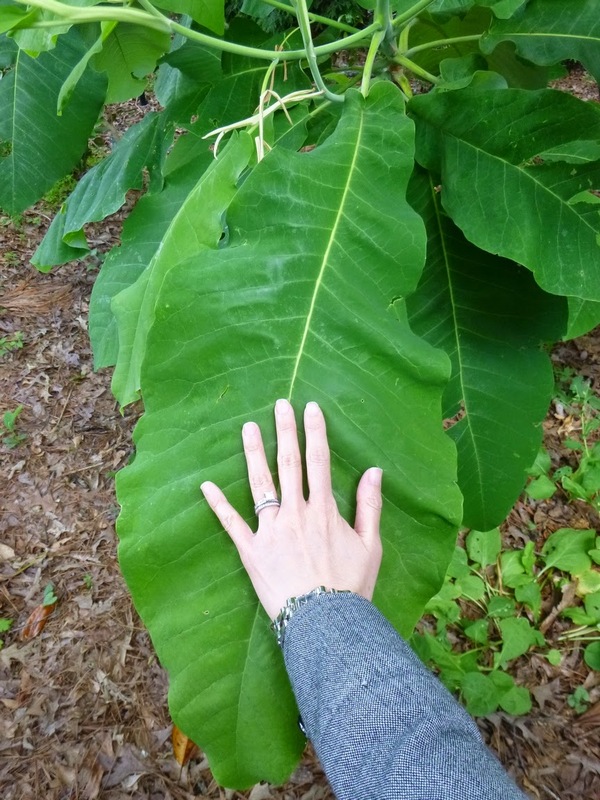 According to the Missouri Botanical Garden, Bigleaf Magnolia has the largest simple leaves (up to 30 inches long) of any tree indigenous to North America. 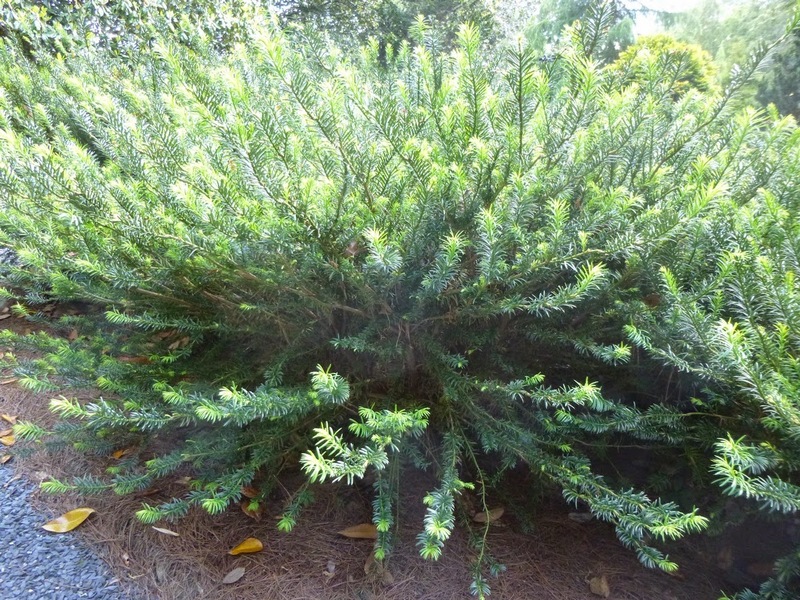 Yep, it's another Cephalotaxus (Plum Yew)! What can I say? I'm smitten by the genre. 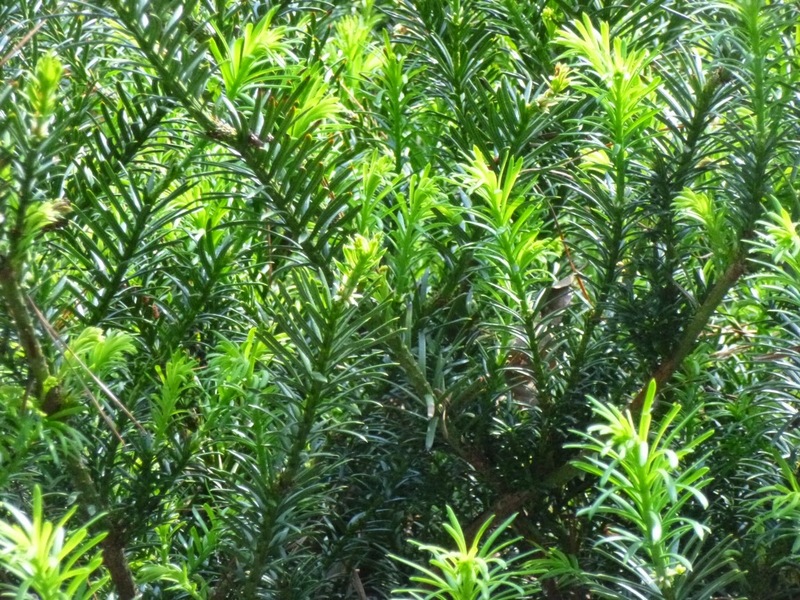 This is Cephalotaxus harringtonia, the same species I have at home, but I've never heard of this cultivar - McCorkle. I did find it online at one (wholesale?) nursery in Michigan called Spring Meadows. 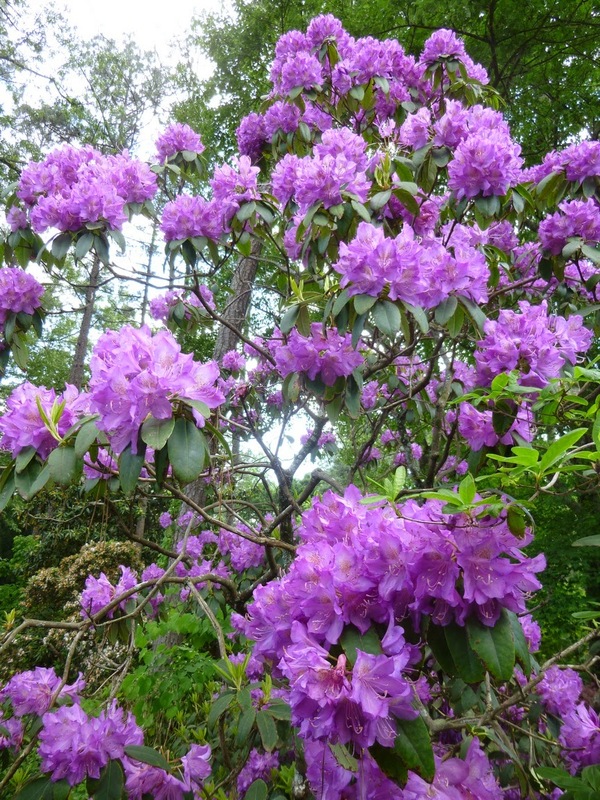 According to the listing there, McCorkle will grow about 5 feet high by 6 feet wide. 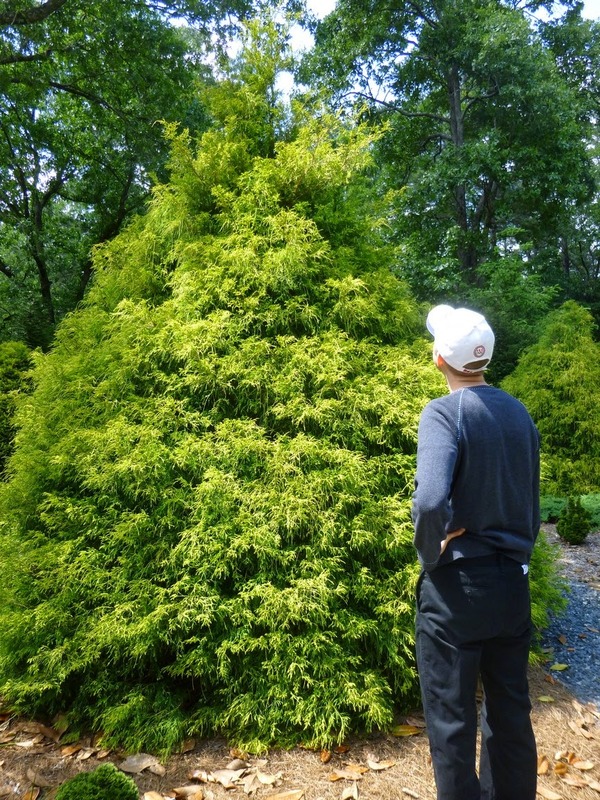 Close up on the delightful new growth in the foliage of Cephalotaxus harringtonia "McCorkle"
I decided to stand next to the tree to give you a better sense of its size. 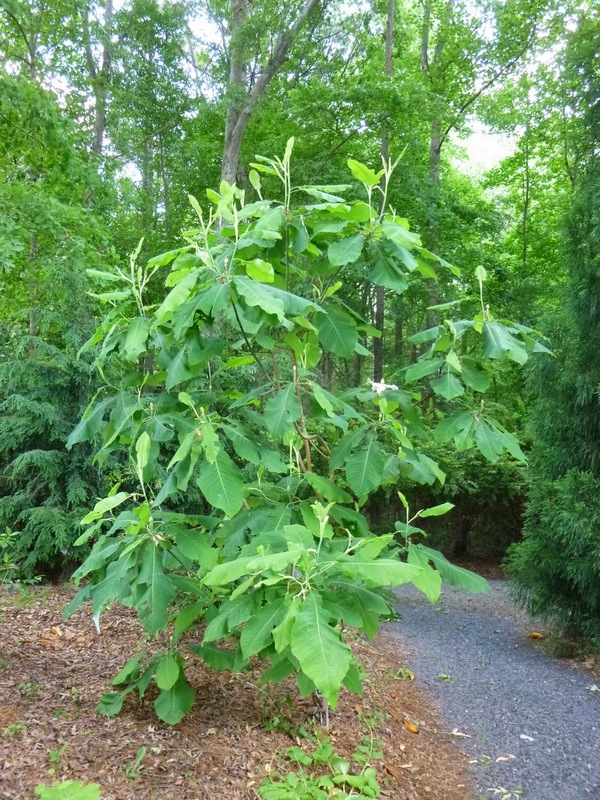 I'm approximately six-feet tall, so I'm guessing this tree was about 10-feet tall by 8-feet wide? 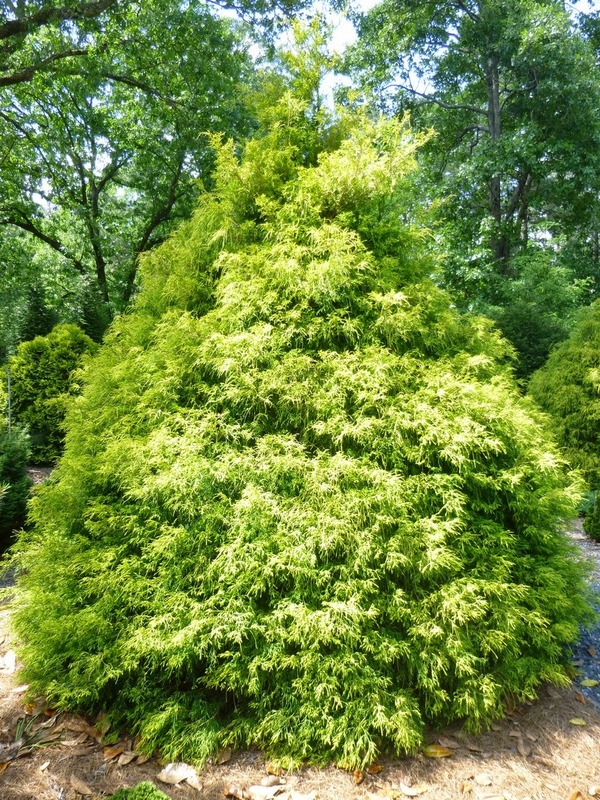 It looks like it would be great for a privacy hedge, although the slow-growing quality means you'd need to buy a substantial tree to start or have a lot of time and patience. This is the last of my four Atlanta trip reviews. (You can find links to the other reviews in the archive section of the sidebar.) I hope you enjoyed the journey! As always, I welcome your comments, questions and suggestions.